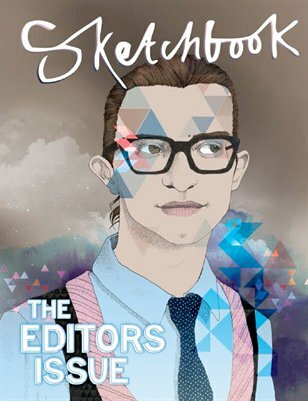 Sketchbook’s third and final issue for now, has been dedicated to a host if esteemed Editor’s including the likes of Dolly Jones of Vogue.com; Nylon Magazine’s Marvin Scott; Leith Clark of Lula Magazine; Imran Ahmed of Business of Fashion; Amelia Gregory of Amelia’s Magazine; and Malika Dalamal of Daily Candy London, to name but a few. As the unsung heroes behind the scenes, we thought it fitting to devote an entire issue to celebrating their hard work; visions and respective work ethic. In addition to this, you’ll find a number of exclusive interviews with the likes of Olivia Rubin; casting director, Julie Adler; creative consultant – Yasmin Sewell; and uber stylist, Ondine Azoulay , amongst others. As always, in the vein of its preceding issues, issue 3 brims with thought-provoking and aesthetically pleasing illustrations; conceptual fashion shoots; and stellar graphics.